Home / Client communication / IS THIS THE PHASE TO SHIFT WORDPRESS SECURITY IDEAS ? Quite frankly, the WordPress security dilemma is not shrinking. WordPress has the huge user base and popularity, in the same hand hacking also. So it is not a matter to ponder the programmer’s screen on these WordPress stages. Yet that doesn’t mean WordPress is powerless totally. So we WordPress developers should bring awareness to the things everyday website owners can do to improve their over security measures. We ought to be mindful that security is impossible; but it’s something which should not be disregarded or missed. So it is the time to make a shift from our usual WordPress security measures. So sooner we start, better the result will be. BUT, IS WORDPRESS SECURE STILL? Obviously the response will be negative. Still WordPress is facing security issues. In fact, WordPress websites were attacked 25% more than sites running on all other CMS platforms combined. I am not here to frighten you, however truly my point is to make every one of you to think about the truth that WordPress ubiquity and its hacking goes as an inseparable unit. 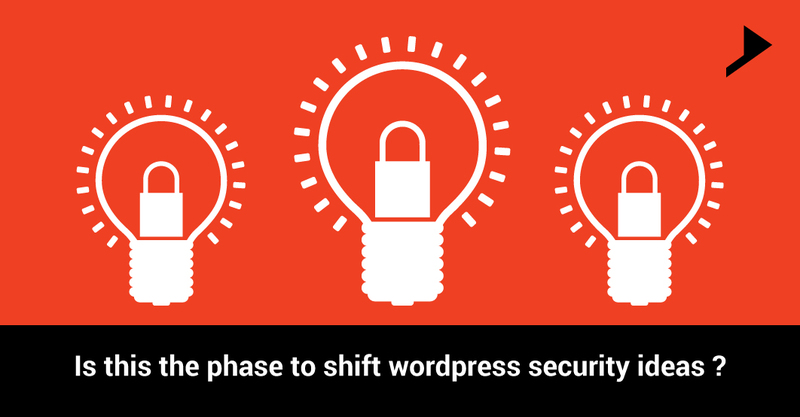 IS THIS THE PHASE TO SHIFT OUR IDEAS ON WORDPRESS SECURITY? Evidently, this is the time to make new trends on WordPress security. In my opinion WordPress community needs a seasoned solution that will help create or enhance the attention of WordPress as a secured platform? Why make it easy for hackers to access your website, when it is so easy to harden your WordPress security? Our ideas on WordPress security should shift from strong passwords to more set up plugins and hosting side. Their hosting package includes the services of the best-in-business Succuri.net . WP Engine takes WordPress performance seriously and has created a custom optimized architecture for their servers. You can experiment with updates, theme changes, new plugins, etc. without affecting the public-facing production site. 1.It is perfect to keep your site secure and free from virus, malware etc. 2.Website Integrity Monitoring can also be done with the aforesaid plugin. 1. 2 factor authentication logging features. 2.Real time user logging, monitoring option. 4.Generate complex and strong password. 1. 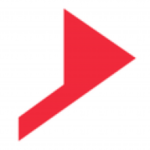 .htaccess protection to keep the site safe from hacking attempts. 3.Keep your site safe from virus and malware. 4.Monitoring and safe logging features. 5.Easy to install and configure. 6.File monitoring features in the pro version. This is the time to chase WordPress harden security plugins rather than going for usual basic steps. While the fame of WordPress can make it a focus for those with detestable plans, this is limitlessly exceeded by the quantity of specialists, devices, and administrations that are close by, to guarantee the security-danger to your WordPress site is minimized. We are looking forward to get your views on our posts which will be a great encouragement for us. 4 years of technical expertise gave me a spirit to grow up with an awesome change. I changed my track towards Digital Marketing and these days I am busy setting new campaigns and doing social media activities for my clients. Yes sometimes, just for fun I write. It?s really a great and helpful piece of information. I?m glad that you shared this helpful info with us. Please keep us up to date like this. Thanks for sharing. Never thought there’s e-commerce plugin for WordPress websites also. Learned new thing. Thanks! We expertise in WordPress platform and can guide you on all the aspects related to WordPress. Regret to inform you that We are not working in .net. and are not well versed with your query. So its better to get the guidance from an expert in .net.Thankyou. I am frequent visitor, how are you everybody? This content published at this web website is in reality pleasant. I blog site often and I truly appreciate your content. Your content has really peaked my interest. I’m going to take a note of your blog site web website and keep verifying for new information about once per 7 days. I opted in for your RSS nourish as well. Admiring the effort you put into your blog site web website and in depth information you are offering. It’s best to come across your blog site web website every once in a while that isn’t the same old rehashed content. Excellent read! I’ve stored your site and I’m including your RSS nourishes to my Google consideration. I think this is among the most important info for me. And i’m glad reading your article. But want to remark on few general things, The website style is great, the articles is really great. Good job, cheers! Everyone likes it whenever people get together and discuss opinions. Great web website, proceed the best work! A thousand thanks for composing this information. Very excellent published tale. It will be useful to anybody who employess it, such as me. Keep doing what you are doing – getting excited about more content. What’s up to every one, the contents existing at this web site are truly amazing for people knowledge, well, keep up the nice work fellows. Excellent goods from you, man. I’ve understand your stuff previous to and you’re just extremely fantastic. I really like what you have acquired here, certainly like what you are saying and the way in which you say it. You make it entertaining and you still care for to keep it smart. I can not wait to read much more from you. This is actually a wonderful website. to check out and do it! Your writing stule has been amazed me. have shared this great article at around this place. Very nice post. I simply stumbled upon your blog and wished to mention that I have truly loved surfing around your blog posts. After all I抣l be subscribing in your rss feed and I’m hoping you write again very soon! It’s in reality a great and helpful piece of information. I am satisfied that you just shared this useful info with us. Please stay us up to date like this. Thank you for sharing. I was examining some of your content on this site and I believe this website is very instructive! Keep putting up. Thank You Larry. Its a great news that our viewers are loving our articles. I just like the helpful information you provide for your articles. I am quite sure I’ll be told many new stuff proper here! Good luck for the next! Yes Samual, we will make sure that we publish such informative articles on regular basis. I do accept as true with all the ideas you have presented to your post. They are really convincing and can definitely work. Nonetheless, the posts are too quick for starters. May you please extend them a little from subsequent time? Thanks for the post.